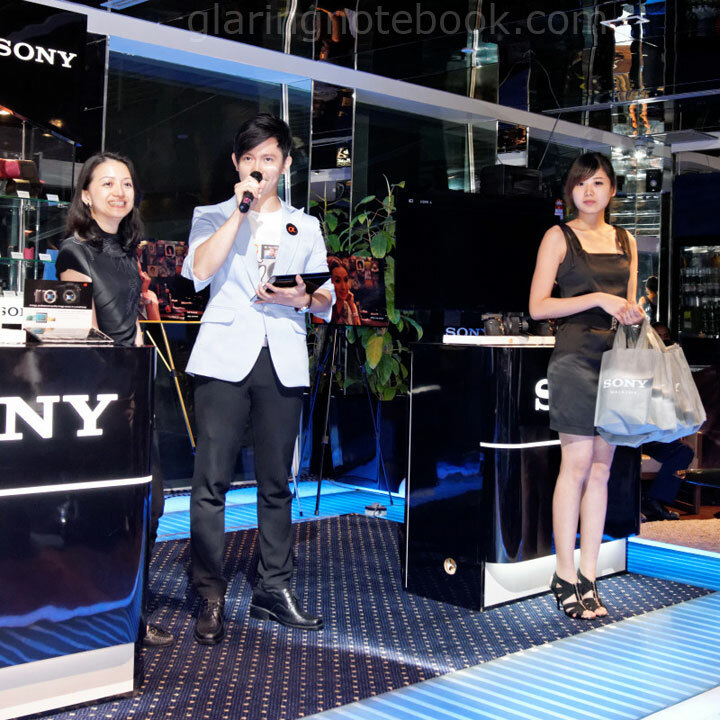 On the 29th of May 2012, I went to the Sony NEX-F3 and SLT-A37 launch at the 28th floor, Bridge Bar, G Tower. 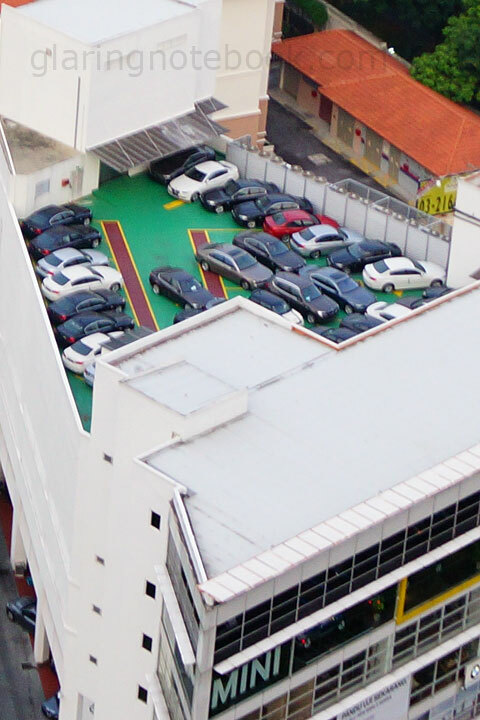 Dense parking at the Mini showroom! The emcee giving out prizes during the lucky draw session. 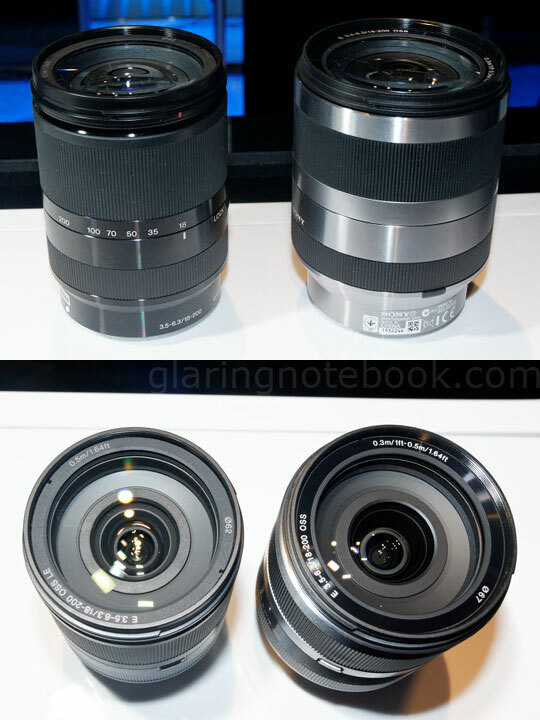 Here’s the new Sony Alpha NEX-F3, with the new Sony E 18-200mm F3.5-6.3 OSS LE lens! There is a built-in flash which folds up, and can be used in bounce if you pull it back manually. A highlight of it is that it pulls up all the way to the top, to make camwhoring real easy! 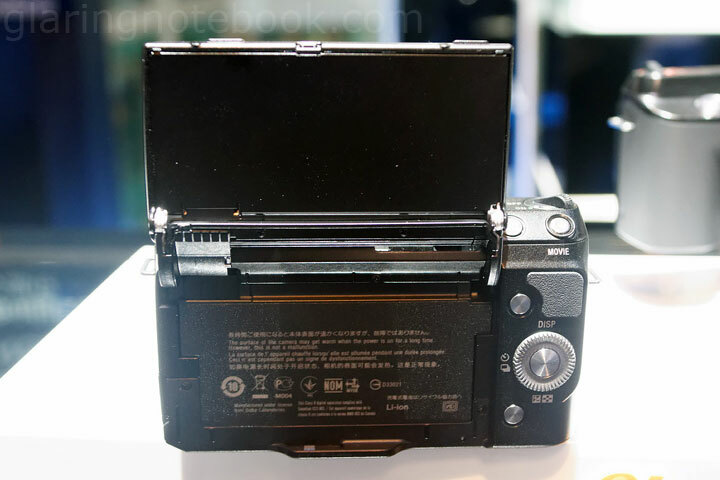 Interestingly, the memory card slot gets its own door. 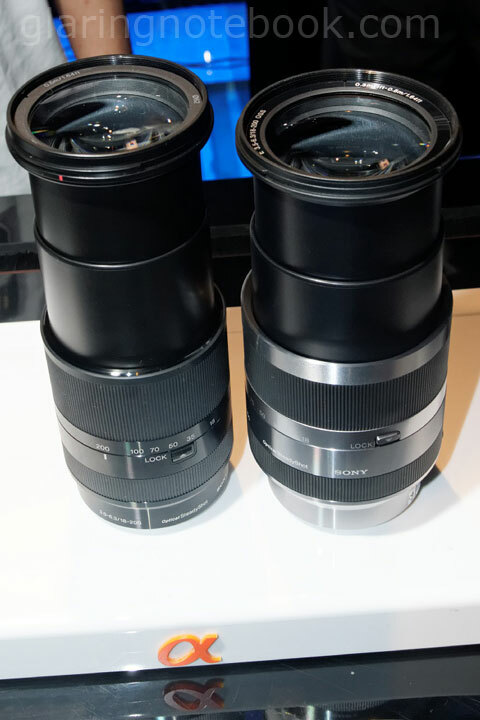 …however, the newer 18-200mm is less wide and lighter at 460 grams versus 524 grams, with a smaller filter thread of 62mm compared to 67mm, and appears far more sleeker. 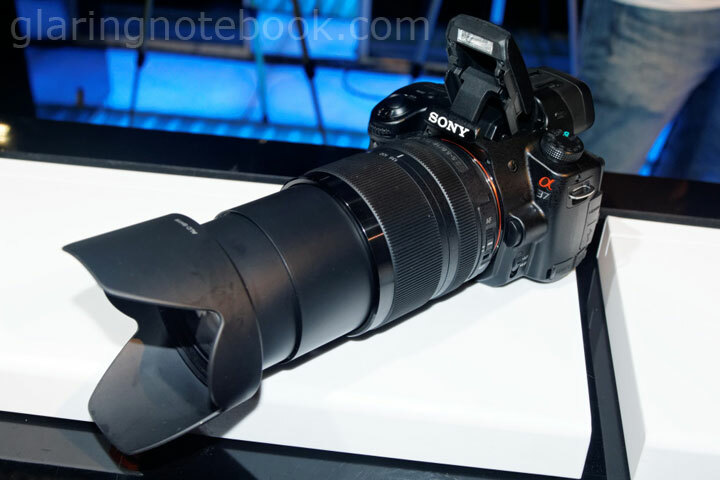 The newer 18-200mm cannot focus as close, with a minimum focus distance of 50cm compared to its predecessor’s 30-50cm. It also loses in maximum magnification, at 1:3.7x compared to 1:2.8x. 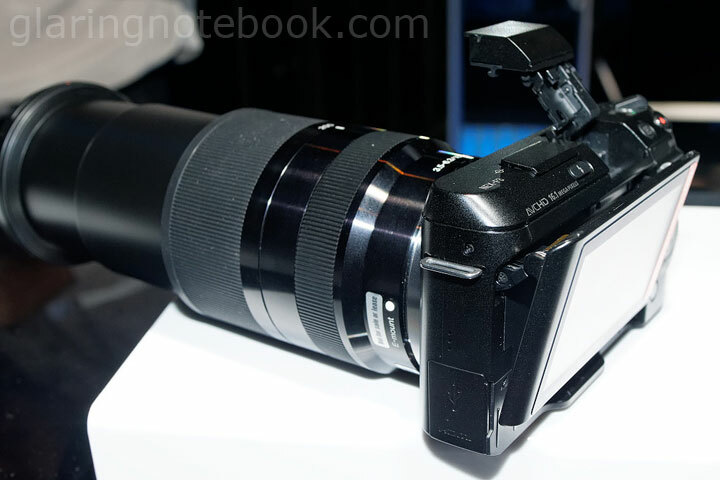 You can also mount the HVL-F20S (I didn’t bring my NEX-5 or I’d have my HVL-F7S to try it with). 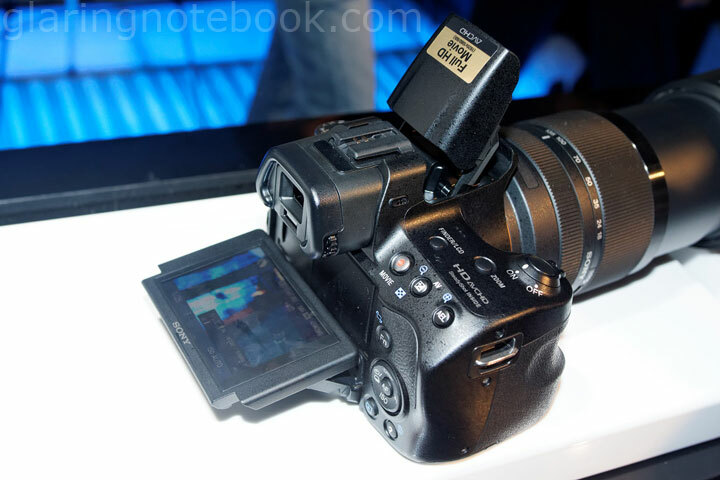 However, the pop-up flash will not fire – it is also blocked from reaching its tallest position. 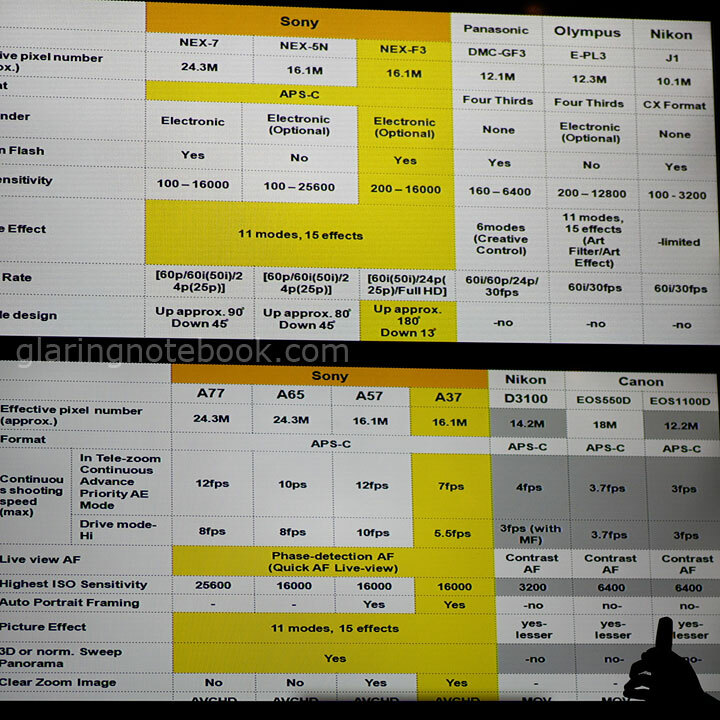 The older 18-200mm looked disporportionate on any NEX except the VG and FS camcorder series. You could, of course, use the flash and flip the screen up, but you would not be able to see anything! 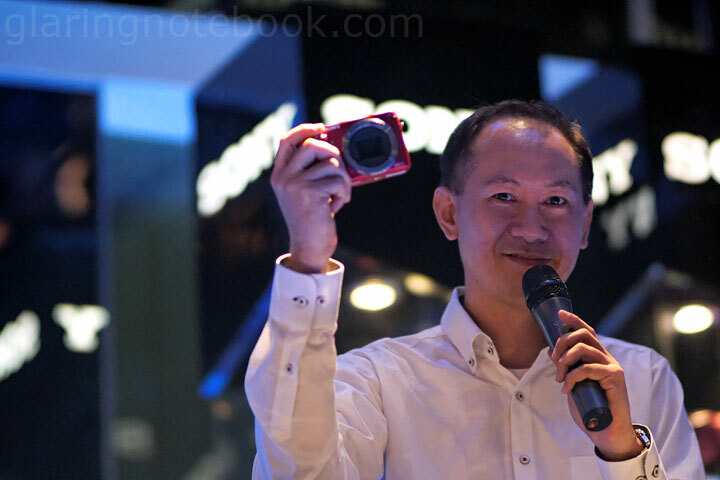 John Shum of Sony shows us the pink NEX-F3. It’s a deep metallic pink, rather reddish. 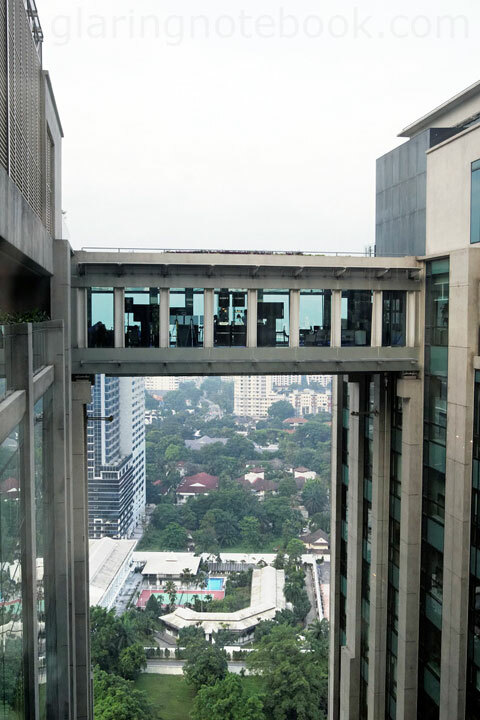 The view from the Bridge Bar, 28 storeys above ground. 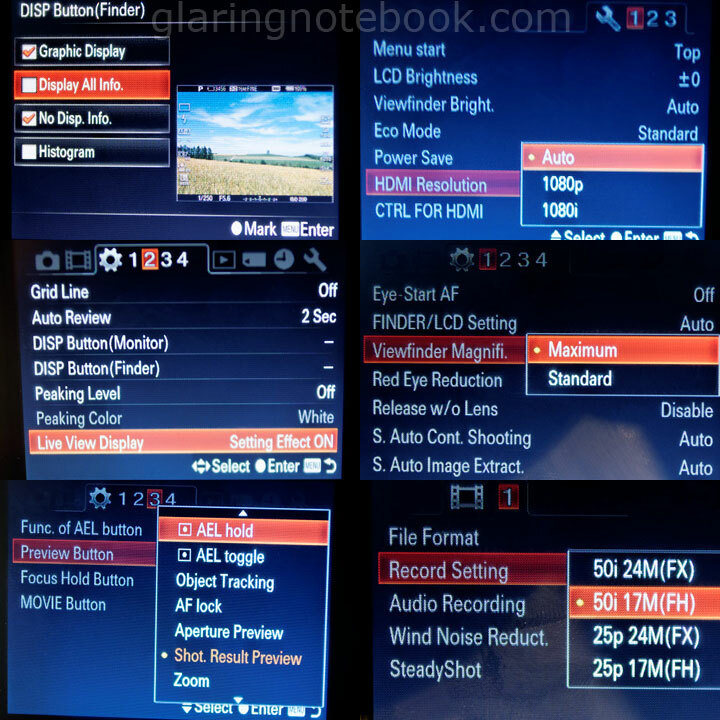 – Auto ISO has no options to set minimum/maximum ISO within this menu. 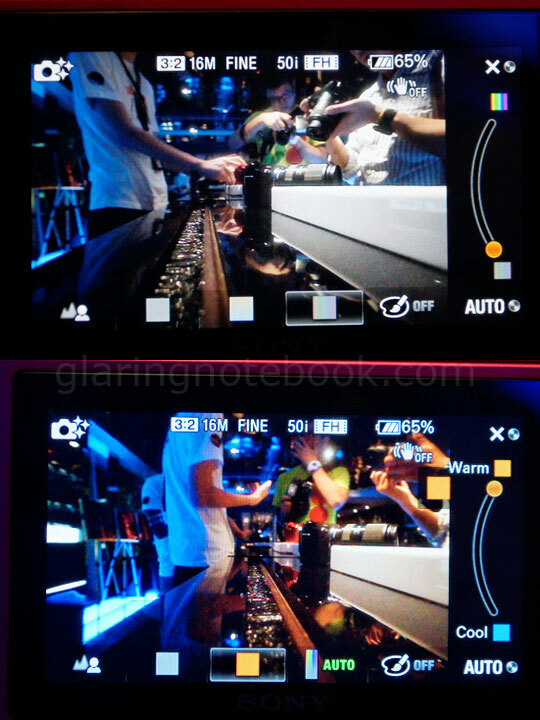 The standard maximum ISO is ISO 16000. 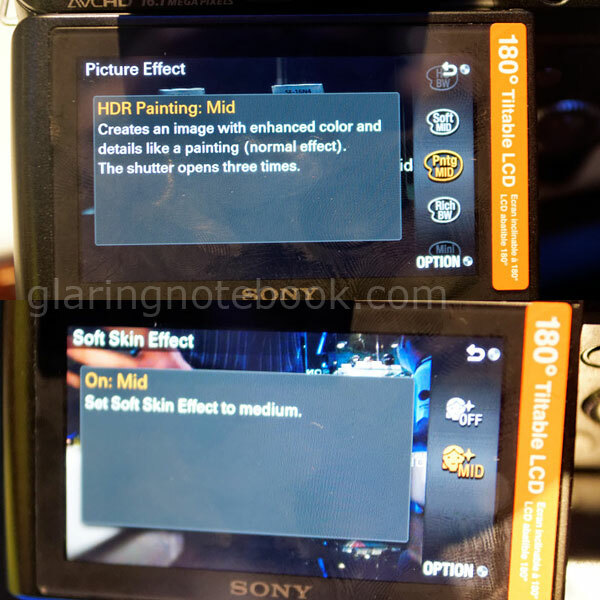 – There is Wind Noise Reduction, also in the NEX-5N and NEX-7. 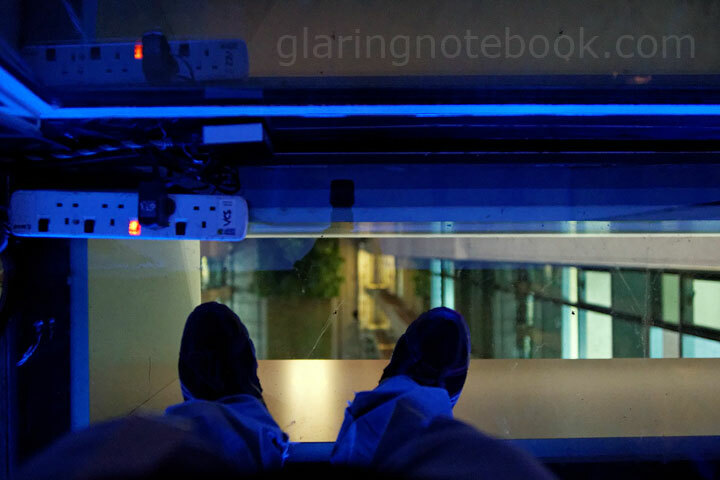 – Different grid line options! 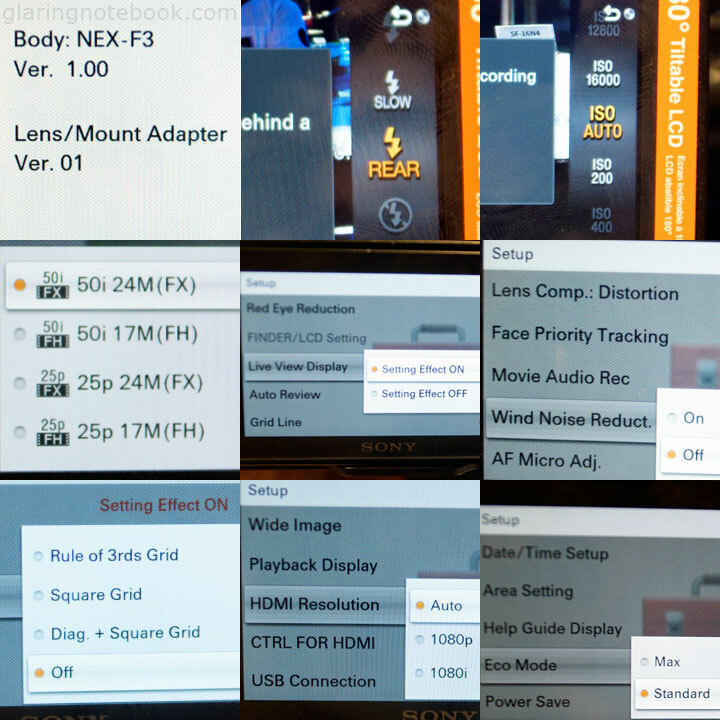 – HDMI Resolution – I didn’t have this on my NEX-5 – I assume that this option is only on the NEX-F3, NEX-5N and NEX-7, which support 1080p and 1080i. – Eco Mode – not sure what this means. 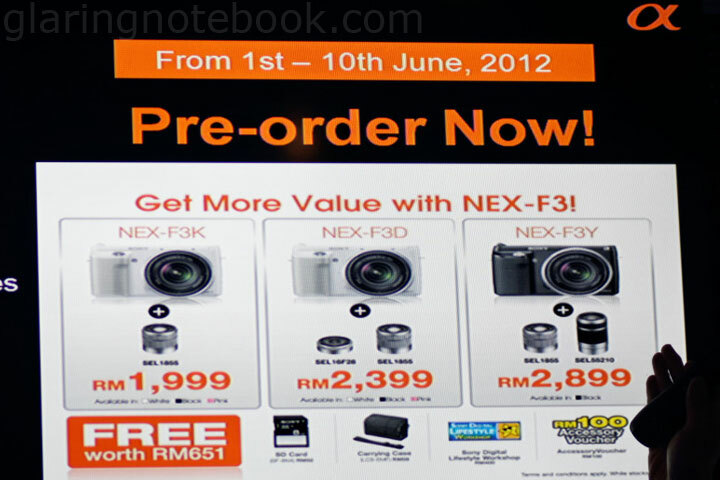 Interestingly, the NEX-F3 is the only Sony Alpha or NEX body with a USB Micro B female port. The USB Micro B port is what you see on most Android and Blackberry phones since 2010. 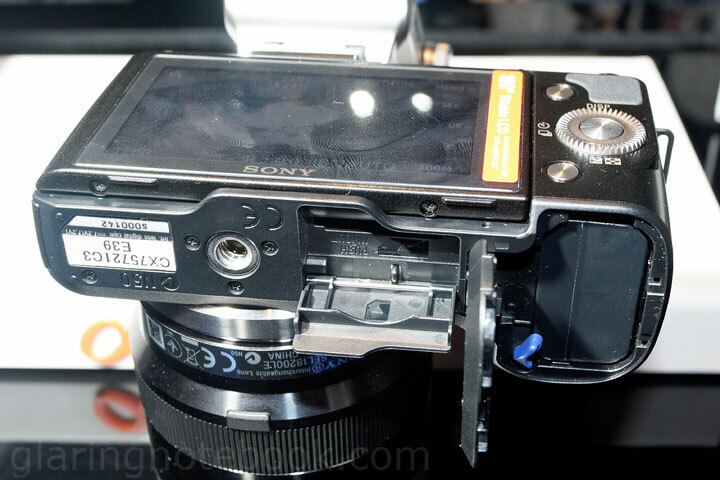 Perhaps this is how Sony plans to prevent somebody from using a NEX-F3 cable to charge a NEX-5N, for example. The A100 to A900 had some proprietary USB port. 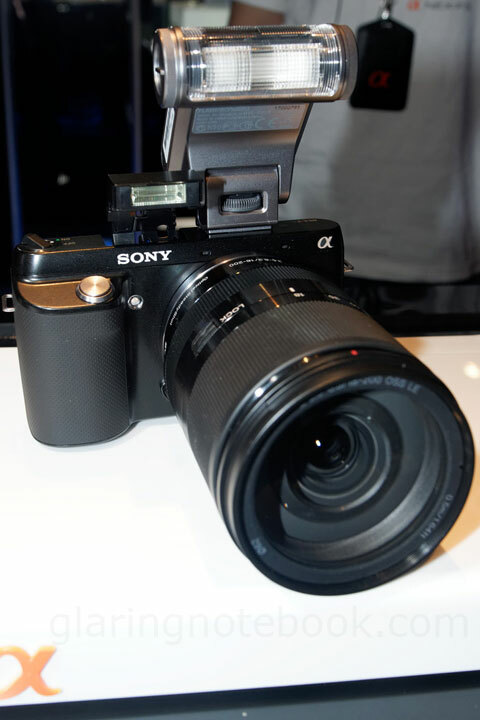 The A230 onwards, up to the A37 and NEX-7, used the USB Mini B female port. The USB Mini B is what you see on early Android and Blackberry phones, as well as card readers and some portable hard disk drives. I am glad that Sony didn’t remove the HDMI Mini C female port – sure, they can use the MHL standard, like on the Samsung Galaxy S2/Nexus onwards, where it functions as USB charger and HDMI output. The MHL cable can also charge the device, but the cable would be Y-shaped so a USB charger could charge the device while it is plugged to HDMI. It’s just a bit messy and the cables are hard to find. 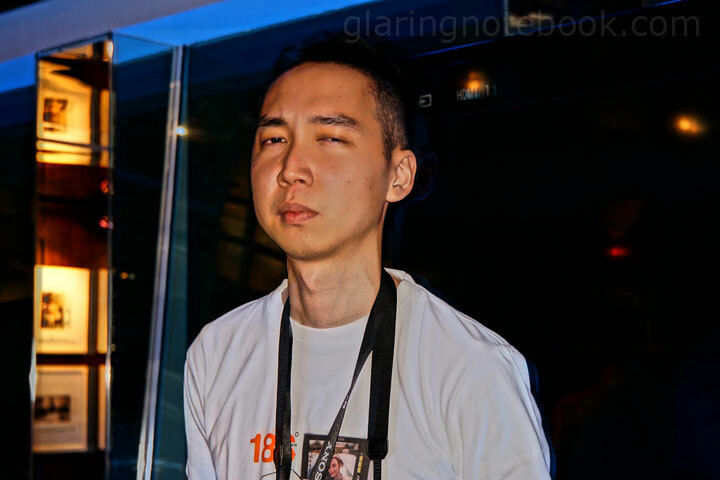 – White Balance is similiar to all the new series – you can dial in a WB shift even in AWB, and the M9/G9 control in the old system is gone. – AF Micro Adjust gets its own menu. – There is a Table Of Contents of helpful tips! – Appears to be decent. I didn’t read through the tips, though. – Auto Portrait Framing, bound to crop many landscapes and buildings away, leaving only tourists. – LCD Display (DISP) – not sure what this does. – DISP Button (Monitor) – lets you set what the DISP button cycles through. Regretfully I didn’t try Big Font Size Disp. – should be interesting! – USB Connection – Auto. Not sure what this is about as well. There is also a Soft Skin function – what happens when you set that to High and set the Picture Effect to HDR Painting: High? You get an extremely fake, highly-processed image with an obvious thick halo. The Alpha line hasn’t been known to make such cheesy effects before this. A much more natural option to keep the highlights and shadows without the crappy halo-ing, is to use DRO Level 5 or Auto HDR. Soft Skin makes for some interesting artifacts, especially at the edge of the face that was detected! A much better use for Face Detect is with Auto Portrait Framing. 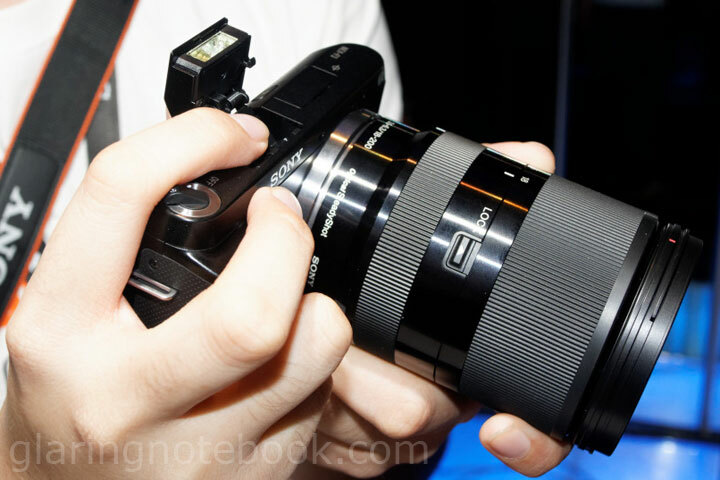 And now, for the Sony 18-135mm F3.5-5.6 DT SAM! This is at 135mm F5.6, at its minimum focus distance of 45cm and a maximum magnification of 1:4x. It has a filter thread of 62mm. The lens was also amazingly quiet when autofocusing in video – however as I recorded the video while background music was playing, it wasn’t quiet enough to qualitatively say that you won’t hear the lens focusing in the video. I did not bring my A900, so I cannot report whether this DT lens clears its vignetting on a full-frame camera. 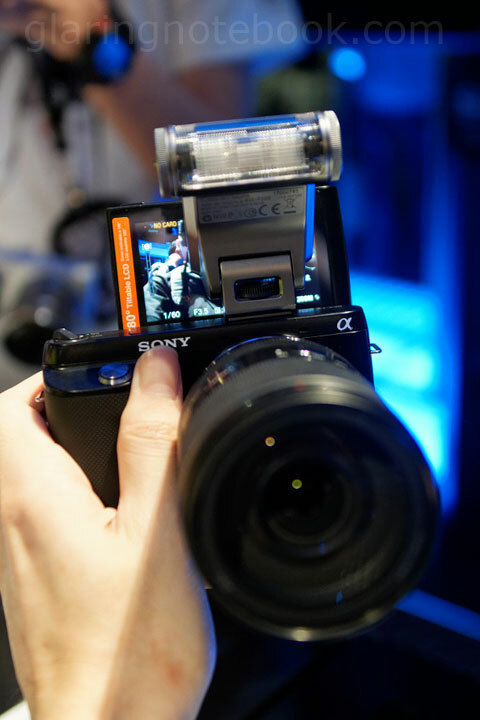 This is what it looks like, fully extended, on the Sony Alpha SLT-A37. 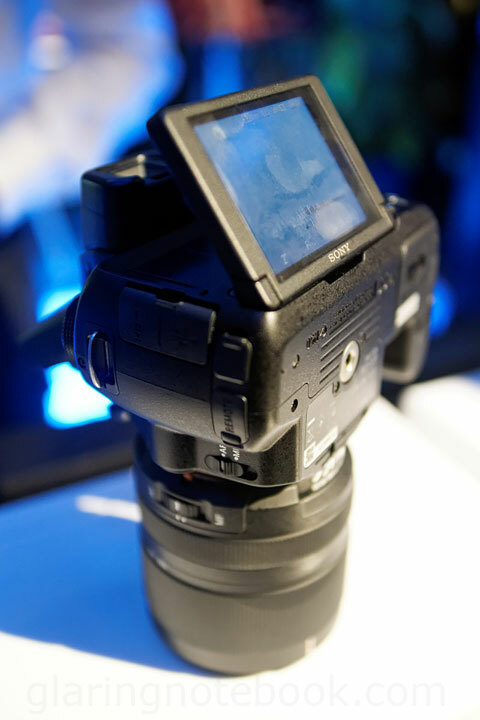 From the back, the A37 uses a hinge mechanism that gives similiar angles to Sony Alpha’s debut Live View models – the A300 and A350. Unfortunately, like the A300 and A350, it had a low resolution screen. 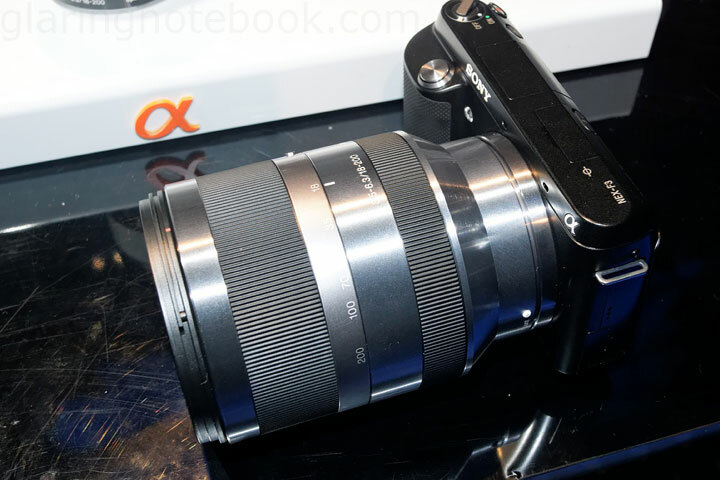 This looks just horrendous compared to the NEX-F3’s brilliant 921K screen! Also, the viewing angles on the A37 are horrendous – the screen inverts the moment you aren’t looking directly at it. 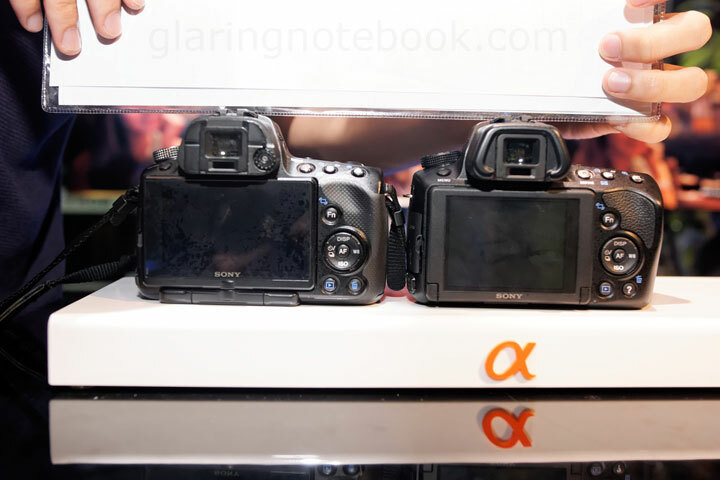 Ironically, the A33 had a rotating hinge with a decent screen, and the A35 had a fixed 3.0″ XtraFine TruBlack LCD screen. I’d really rather they revert to the A33 screen in this case! Something else they stripped from the A33 was the Remote mode in the Drive menu – so you could not use the RMT-DSLR1 infrared remote control to trigger the shutter! This was also omitted in the A35. So I wondered what that infrared window was – as it turns out, it was just for the countdown timer to blink. I used a long exposure shot to get the red blinking LED on camera. The A55 on the left, and the A37 on the right. Pretty much the same size. 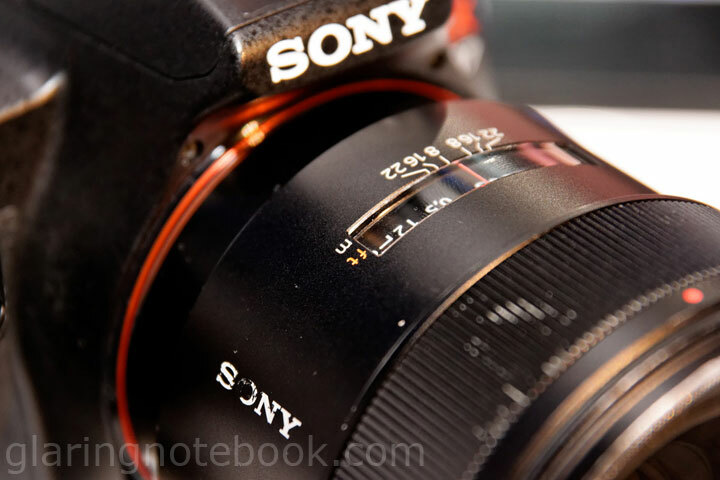 – It seems every new Sony Alpha comes with the new white balance screen. – This, I love! Zone Area AF area. – The same old Fn menu. 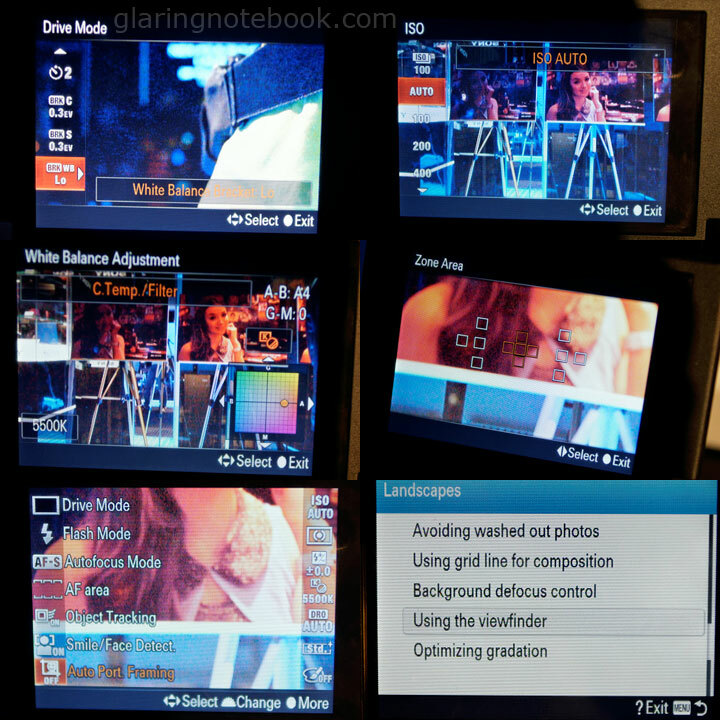 – Also, the Help menu like on the NEX-F3. 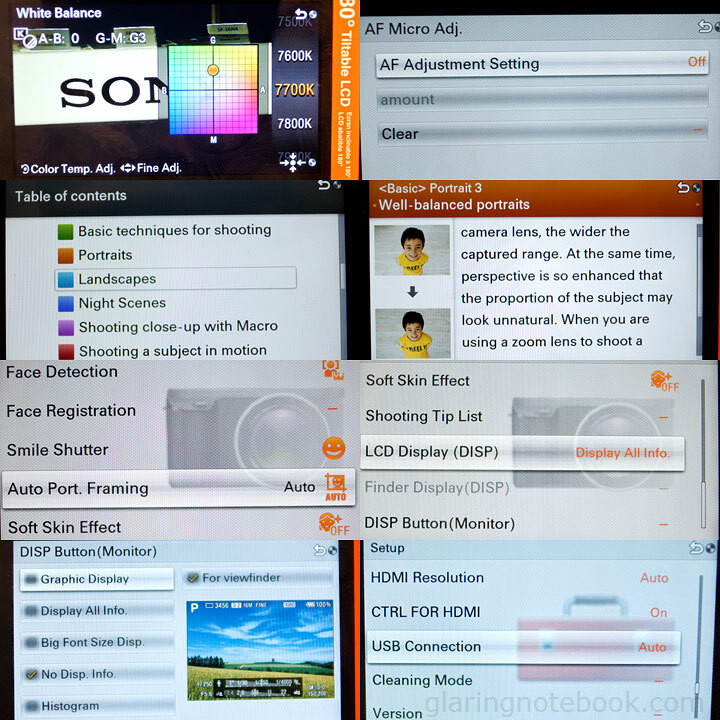 – HDMI Resolution is also selectable here. 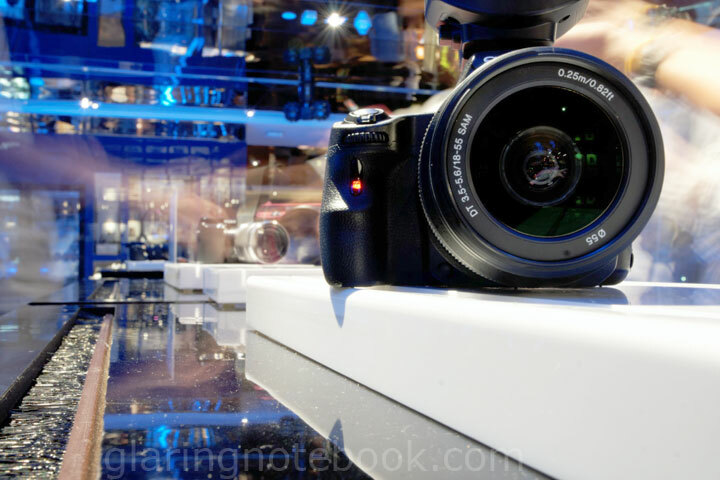 – Live View Display, just as described above, invaluable for studio shooting! – Viewfinder Magnification – Maximum or Standard, for people who wear glasses. – Bindable buttons! I love that I can bind it to Spot Meter AEL Toggle, my favorite option back on the A100, but a bit redundant since the EVF always shows you how it will meter. – No 50p here, either. 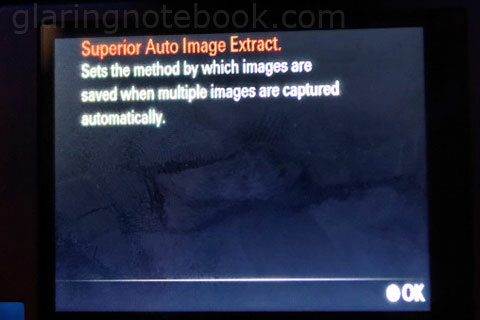 I really don’t know what Superior Auto Image Extract does. Prices in Malaysia. I forgot to take a picture of the A37’s prices. 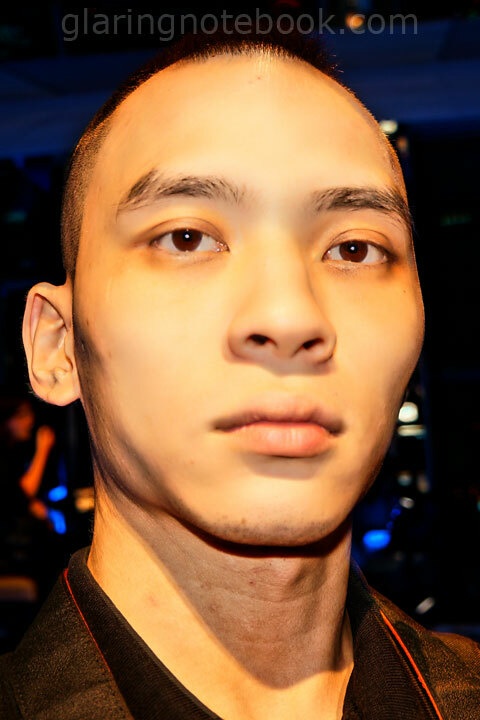 This entry was posted in Geek, Pictures on June 3, 2012 by 2konbla.